I see two extremes at work among church planters. There is a certain school of thought—common among planters who describe themselves as missional and incarnational—that the job of a church planter is really just hanging out. Go to where the people are and have a beer with them. Although that may be one activity a planter engages in, let me just tip my hand right now and say that being an effective church planter is about much more than just hanging out and having a beer with the unchurched. It needs to go beyond relational connection into actually making disciples. It requires intentionally bridging into discipleship. On the other extreme, some planters view the planting process as gathering a critical mass of believers large enough to support a worship service. 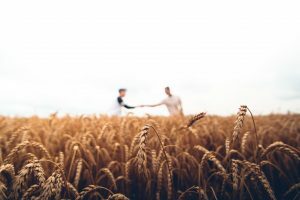 In this case, the inevitable emphasis is on bonding with one another and the people never get around to embracing a mission of making disciples. They simply don’t have much by way of relationships with unbelievers. In both cases, people are connecting relationally– either with unbelievers or with believers– but they are missing the main point of making disciples. No matter how you start, the intentionalized making of disciples is the main thing. You need to engage and make disciples of unbelievers before you have your first public worship services. What you do before you launch worship services– that’s your DNA. Consider what you are doing now to make disciples. If you are not currently making disciples, it’s unlikely that you will suddenly begin when you have the title church planter. And if you are not making disciples, do not expect those who are part of your core team or church plant to be making disciples. The planter functions as the lead disciplemaker. That’s the core essence of the church planter’s job description. Download this free resource for more on what the full job description of a church planter looks like: Church Planter Resources Overview.